"Gate 8 helped us deliver our most successful FSDU today. The rate of sale in the hundreds of stores its been placed shows a significant increase." 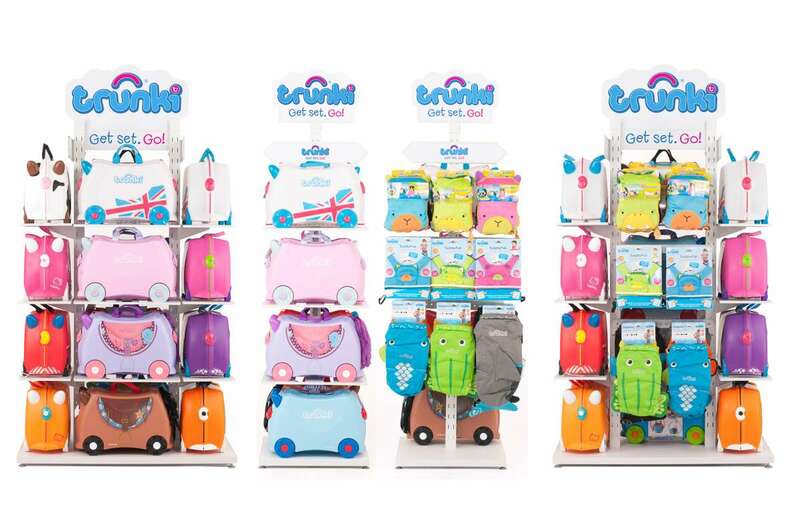 Gate 8 got in touch with Rob Law during Shanghai’s CBME in 2013, the world’s largest sourcing event for baby, children and maternity products. 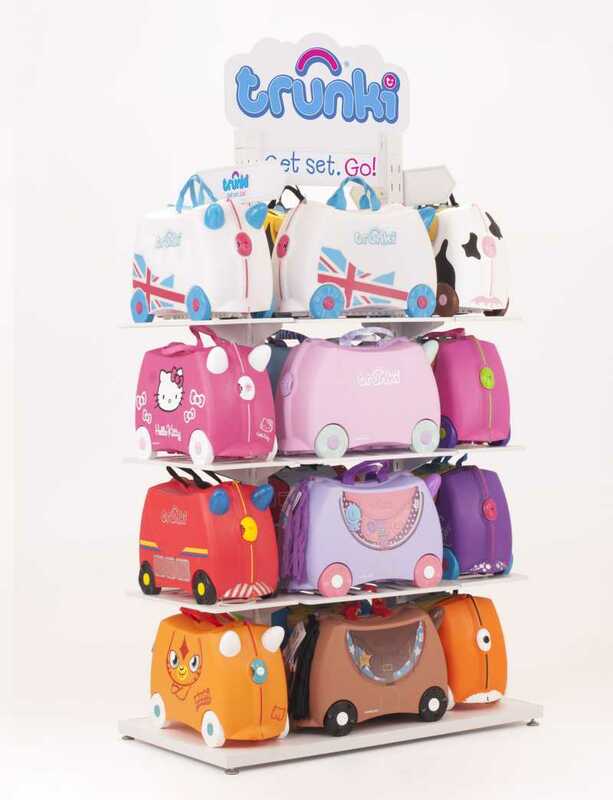 Trunki asked us to create a modular system that could effectively provide most of the display options i.e. counter display, table display, floor display, wall Display, perhaps even making it feasible with enough component parts to expand to a pop up store or shop in shop. The key being scaleable. 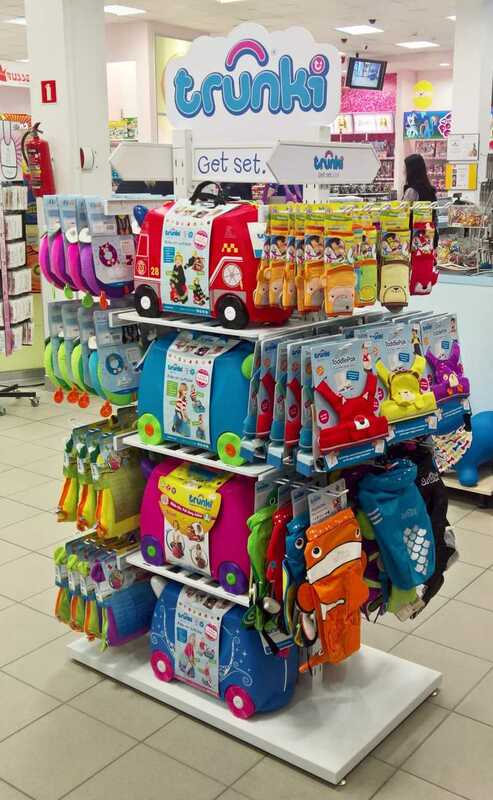 We created a platform to explain and dispense their range of products and capture the “fun” side of Trunki at the same time. 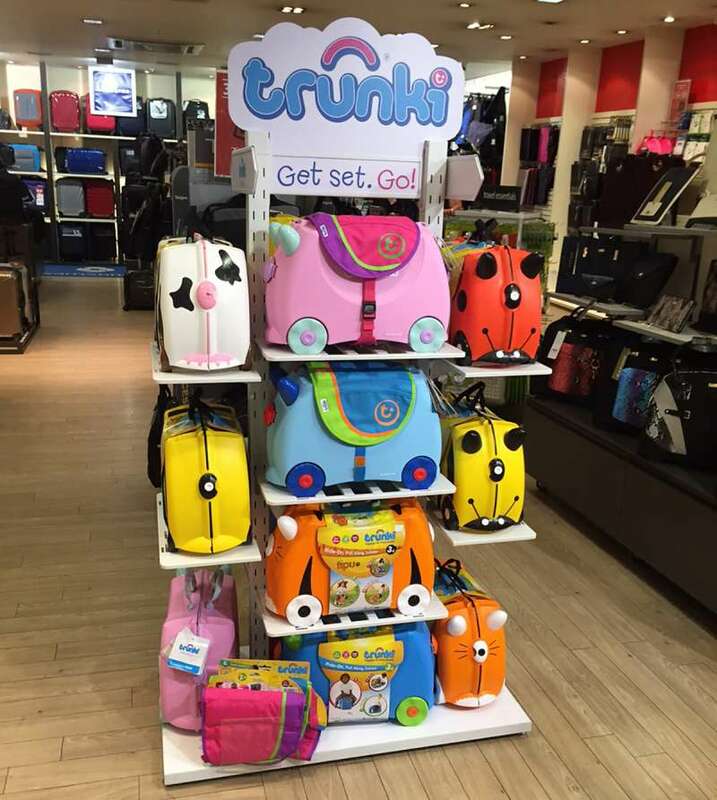 Trunki’s aim is to make travelling with children easier for parents and making the journey as exciting and fun as the destination for the child. 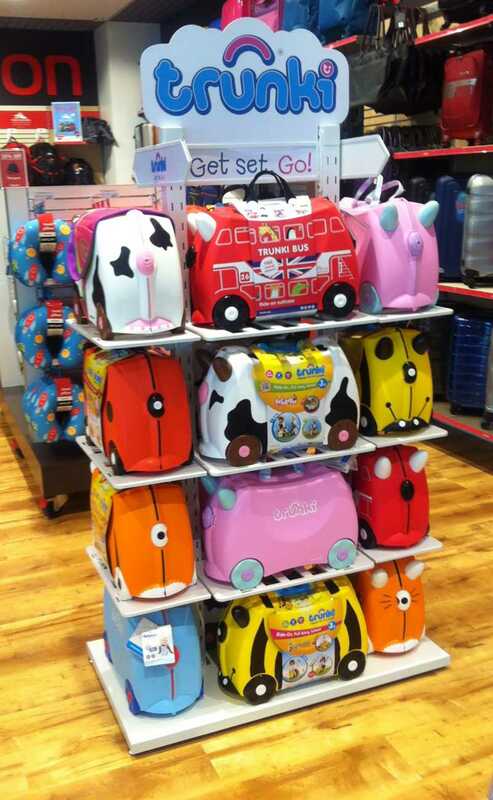 "Trunki usually developed FSDU’s in-house but we decided for speed to market and lack of internal rescue to use Gate 8. Their experience payed dividend in creating a range of unit’s that took our full line, made our brand stand out in store and secure an additional footprint in prime locations."